Magic Leap is the start-up that magically wooed several high profile investors and raised a whopping 4.5 billion dollars. The highly secretive startup is yet to announce a product or explain its technology. But it aims to provide a mixed reality experience that is unparalleled. Mixed Reality, if realized effectively, has the potential to blend virtual and real worlds to revolutionize our interactions with objects and people. The applications are monumental. 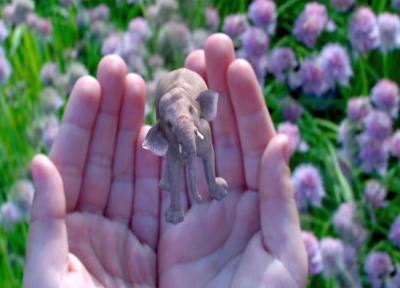 What might the magical world of Magic Leap be like? 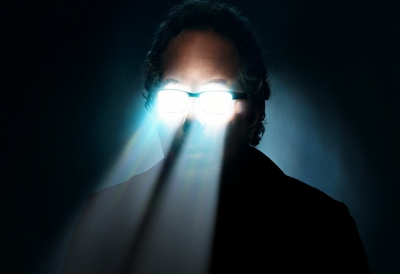 Magic Leap calls it “mixed reality lightfield” technology. This technology – if reports are to be believed – is capable of transporting characters from Wonderland to living rooms and offices. And not just that, these animated beings will shake hands with you, chase you, hide from you and interact with you in ways that have only been imagined so far. The difference promised by Magic Leap is that you are able to be involved with the extraordinary – distract Tom with sardines so that Jerry escapes, study the difference between seashells across the world by exploring them from a collection that has materialized in front of you, practice on a guitar that teaches you how to play it, watch a concert on a virtual screen on your ceiling – even as you remain in a relatively mundane environment. The magic of this technology – whose inventors have not yet explained it nor announced a product nor given a public demo nor shown any hardware unlike their competitors – is said to lie in its ability to provide a flexible experience that involves nuanced fooling of the senses to bring life to beings and situations for a finite period of time. The CEO Rony Abovitz has claimed the technology’s vast applications can replace not only smartphones but all the screens we encounter. Why is it so secretive? Since very little is known about the company, one must consider all angles. It is attempting something that has never been done before. 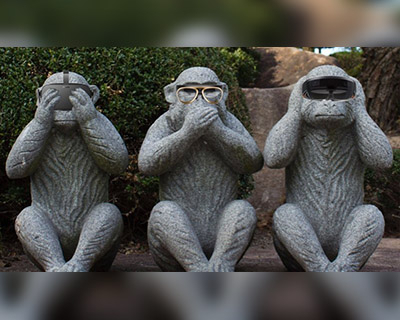 To create an experience that feels and looks natural, they are using a new technology that differs from the stereoscopic 3-D currently used in virtual reality experiences. According to an MIT review, this technology, at the basic level, uses a transparent lens to deflect light from a projector onto the retina. This light makes artificial objects visible without cutting off light from the real world. Given the wide range of potential applications, Magic Leap’s concerns of competition are understandable. Secrecy is common in the tech world. Apple and Snapchat are widely known for this tenet. Maintaining exclusivity and thwarting competition are common reasons for secrecy. In addition, companies may want to avoid the unintended effects of announcing a future product (Osborne effect) – especially the first of its kind – such as huge delay before release, bad timing and unforeseen risks. The unusual choice of Florida as headquarters and a recent lawsuit that alleged troublesome issues within the company suggest that secrecy enables Magic Leap to shield concerns that would alarm its high-profile investors. Secrecy helps maintain the buzz about it as long as those interested keep guessing and talking about the veiled product. Note: The Osborne effect refers to the unintended consequences of a company announcing a future product, unaware of the risks involved or when the timing is misjudged, which ends up having a negative impact on the sales of the current product. This is often the case when a product is announced too long before its actual availability. The term was coined after the Osborne Computer Corporation, in which the company took more than a year to make its next product available and eventually ran out of cash and went bankrupt in 1985. When does Mixed Reality become fascinating? If implemented successfully, the vast range of applications could revolutionize the travel, telecommunication, healthcare, gaming and entertainment among other industries. Footage of Magic Leap in action captured by Wired explains that the constraints of a screen-based experience are eliminated by mixed reality applications – Imagine the World as your Desktop.Virtual screens could pop up on walls to give news and weather updates, display mails for you to open and read. Shopping online could add a whole new dimension by letting you view how the product would appear in your room at different angles. There was a virtual demo of Project Everest in 3 D as well. Teleconferencing. People scattered across the globe can communicate with each other, without leaving their seats. Each person would be able to interact with the other members as if they are in the same room with her or him. Virtual workspaces would also free up the space occupied by huge offices. Medical students can get an unprecedented hands-on experience of medical procedures. This would allow them to try out relatively basic procedures on models of the human body before working on real patients and get a literally in-depth and 360-degree view of surgeries. 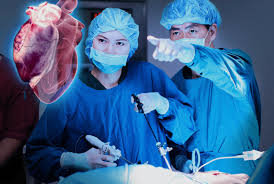 Doctors can also use the technology to guide other doctors carrying out surgeries. Tourists will find AR and MR extremely beneficial. From selecting the right kind of hotel, to safe and hassle-free navigation and personalized information, AR and MR can take a heavy load off the traveler’s mind. In addition, museums and static spots will become a lot more lifelike. People touring a building can access virtual views of its inception and past appearances. The same can be said of environments – one can glimpse how the ecosystem changed over years while on a forest tour. Where are some of the concerns? Might not live up to the hype. Google Glass, in its first concept video, hiked expectations which crashed when the product released in 2012. 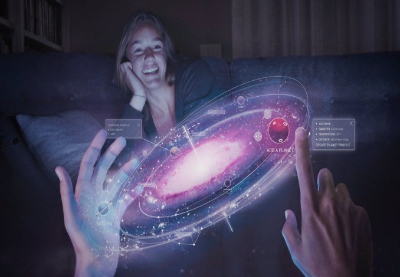 Magic Leap has generated tremendous hype even though almost no one has seen what it has to offer and even those who have do not know its potential for sure. That the promises will translate to reality in the “soon-ish” future remains doubtful. Concept video was dubious and illustrations in patent application were apparently copied. While the illustrations may not matter much, the concept video claimed to be a video game running on Magic Leap’s hardware seems to be a Weta Workshop creation. This adds to the skepticism. Karl Guttag, from his analyses of the patents Magic Leap has filed and their videos until now, opines that Magic Leap’s product would, in the near future, at best be a highly toned-down version of what it claims to have created. 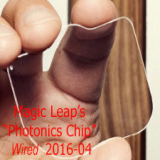 He acknowledges the alternate possibility that Magic Leap may be showcasing prototype display technology which is different from what their product uses or the less likelier possibility that the company is posting videos that in no way reflect their actual technology to mislead people trying to analyze them. The feasibility constraint he points out has also been raised in a review by Rachel Metz who had seen some of Magic Leap’s creations. Skeptics, however, acknowledge that high-profile investors should have found something truly exceptional to place their bets on the company. The alluring and fascinating experiences MR promises and has the potential to provide will involve extensive data mining from the personal to community to societal levels, artificial intelligence and perception so that virtual elements blend harmoniously into our everyday lives and decisions. For corporations benefitting from current business models, mixed reality facilitates probing and manipulation of individuals and societies. Before we realize, a large section of the future population may end up as pawns whose existence is chalked out by the decision makers. By understanding that the above scenario can become reality in the not-so-far future, we can and should lay the foundation for healthy and sustainable mixed reality models that overcome the current defects of our addiction to technology (shortened focus spans, fear of missing out, hampering of human productivity) and keep us grounded, facilitate an open and connected society instead of enveloping each of us in our own virtual bubbles, and honor personal privacy. Who is the man behind the magic? Rony Abovitz, the CEO and founder has delved in fiction-inspired technology before. Following a post graduation in biomedical engineering, he revisited his childhood fantasy – Star Wars. The result was Z-KAT Inc whose work centered on a new type of haptic (touch-based interactions) robotic arm technology for medical applications. The haptic technology was originally developed at MIT and then at Barrett Technology. Successes in test trials spurred a new company Mako Surgical which implemented the technology to make robotic arms to assist surgeons performing orthopedic operations. 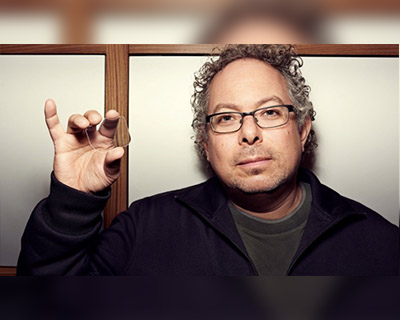 Magic Leap is said to have started off as a garage project and the urge to transfer augmented and virtual reality from the story plot to a real life experience was channeled into the gathering of a team to create a movable pixel. Eight months after the company announced it had collected more than $50 million in seed funding from private investors, it wrapped up a $542 million series B funding round in which Google took the lead. Alibaba led the series C funding round while Google and Qualcomm Ventures invested once again. New financial channels were opened from Fidelity Investments, JPMorgan, Morgan Stanley and T. Rowe Price. On one hand tech investors such as Andreessen Horowitz, Kleiner Perkins, Google, JPMorgan, Fidelity and Alibaba – known to invest in the best of stocks – have invested in Magic Leap. On the other, the company has the backing of Warner Bros. and Legendary Entertainment – known for films like Godzilla and Jurassic World. 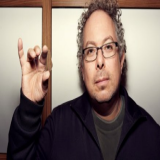 Magic Leap was valued at $4.5 billion in its latest round of financing. The AR fever has clearly caught on. Even as Apple is reportedly working on it, startups Meta and Atheer are experimenting with their own AR headsets. The most high-profile competitor, Microsoft, announced its mixed reality headset HoloLens in 2014. A few of Microsoft hardware and software developers have tried out a preproduction version and the release targeting customers is said to happen in 2017. How is MR a combination of AR and VR? VR creates a virtual world which becomes the environment of a person experiencing it. AR overlays real world objects with information in a virtual format. This facilitates easy access to the information. MR like AR retains the real environment but facilitates enhanced interaction with the virtual objects in it. 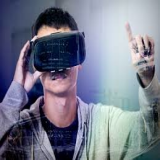 Virtual Reality is the older and more widely-known term popularized by Facebook’s Oculus Rift. The hardware so far has been a “head-mounted display”. On wearing this, one looks into a screen powered by a computer or gaming console or mobile phone. The technology lets one enter and explore a virtual environment such as a computer generated haunted house. The latency – time gap between a movement of the head and appearance of the corresponding virtual picture – is a challenge being worked on. Augmented Reality caters to providing a useful experience rather than a fantastic one. Google Glass is an example. Providing directions in real-time along the shortest and safest routes between two points is a possible application. Mixed Reality is the least known and tries to accommodate the advantages of AR and VR to provide an optimal experience. Take, for example, the decision of which color to paint a room with.One can explore a wide variety of colors virtually placed on the walls and ceiling before deciding which is most suitable. 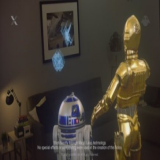 HoloLens and Magic Leap want to deliver this combined experience across various domains. Some experts maintain that the differentiation is more in the packaging than the substance.